Start with squeezing out the juice of the lemon. In spite of discarding the peels, grate them finely. In a bowl, mix the grated lemon peels, sea salt, honey and lemon juice properly. Once it becomes well-blended, spread the mixture all over the area affected by cellulite. In order to keep the wrap in its place, cover it with long pieces of clothes. Wait for 15 to 20 minutes and then wash it away. Green clay – 200 gm. You can pick an essential oil of your choice to prepare this homemade body wrap for cellulite. However, using lavender oil will help you get the best results. 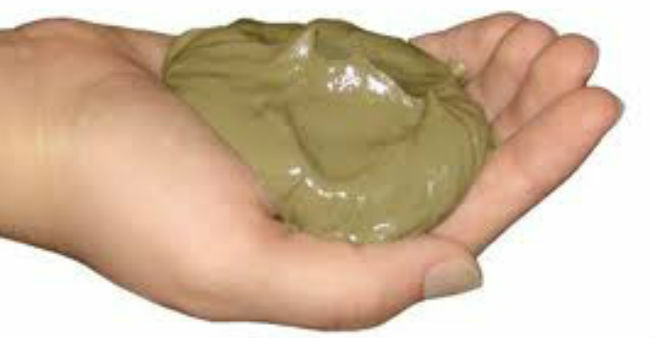 Put the green clay, aloe vera and essential oil in a large bowl and mix them thoroughly. Then, shift the mixture to thin towel strips and cover the areas of skin having cellulite with them. Remember to remove this body wrap after 10 minutes. Herbs like thyme are super effective for cellulite reduction. So, you can try this herbal body wrap to lose those extra few inches. Just put the dried thyme in a bowl and add both corn oil and grapefruit juice to it. Mix them well. After that, massage the areas you have developed cellulite with this blend and lock the natural heat of your body by covering with plastic wraps. This is basically a herbal tea blend which contains lots of caffeine. Take a large bowl and pour all three types of herbal tea in it. Dip clean towel strips into the blend and cover the cellulite affected parts of your body carefully. After 10-15 minutes, remove the towel strips. Regular use of this homemade body wrap can certainly help you eliminate cellulite. At first, boil the water and dissolve the sea salt in it. Now, put the green clay and the olive oil in the salt and stir until a moderate paste is formed. Spread this paste all over your skin, which has developed cellulite. Covering it with wrapping sheets will make your task even easier. After 50 to 60 minutes, remove the wraps. You can skip the olive oil while preparing this body wrap at your home. It will make the paste thicker and reduce your waiting time to as low as 15 minutes. Now, here comes the ultimate one – the coffee grounds body wrap. Caffeine is known to be extremely effective in treating cellulite. Hence, warm up the coffee grounds (these should be already used) and mix them with the olive oil. It will be a sticky mixture that will remain on your skin. Swathe a plastic wrap around your cellulite areas to cover this homemade body wrap and wait for as long as you can. Finally wash it off with lukewarm water.